It’s that time again. The snow is a memory, spring is in the air and you need to start thinking about the best outdoor toys for kids. Family fun in the backyard starts with a parents choice of activities and you’ve got to make some good ones. It’s a long summer for you if the kids are bored. Toys that are versatile and encourage creative play and social interaction are usually a good choice to keep the kids going for hours. Just because a toy was designed for one specific type of game doesn’t mean that your creative kids won’t find 100 other ways to use them. That’s what kids do, they create, they have fun and they make you smile. 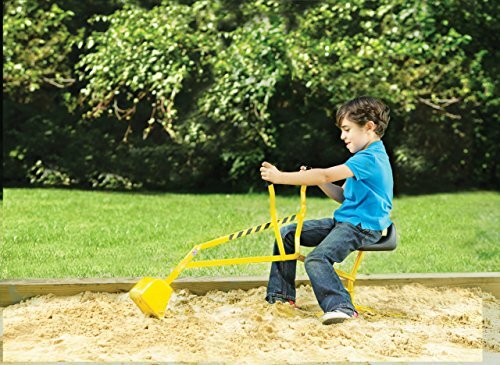 Here are some great outdoor toys to keep the kids entertained in your own backyard. This is the type of activity that kids love and it will keep them occupied and moving around all day. They are designed for kids 4 years and older. They contain one bumper per package so you will want to get at least 2. 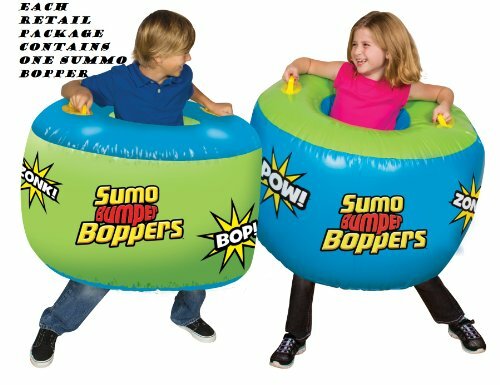 A kid won’t have any fun sumo bumping the air. You need two to tango. Challenging and athletic activity for a group. Have a sumo tournament at your kids birthday party. This is a soft and safe toy that will become a favorite activity in your backyard. Three games for the price of one. 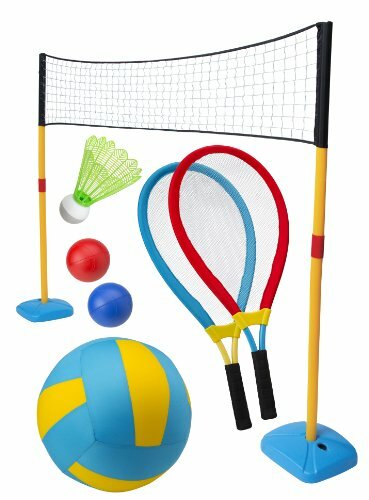 Three backyard net games, jumbo volleyball, badminton and tennis will keep kids 3 years and up occupied all summer. Adjustable net heights allow for adaptation for different skill levels. This is oversized equipment designed for kids. Comes with everything you need to play multiple games. Good old fashioned outdoor fun is the order of the day with this take on classic games. This will keep them outside in the fresh air for longer. This is a set that is easily transportable for fun wherever you go. This is a great game for kids and can be played indoors and out for year round entertainment. Anybody over 5 years of age will have a blast with this Frisbee game. 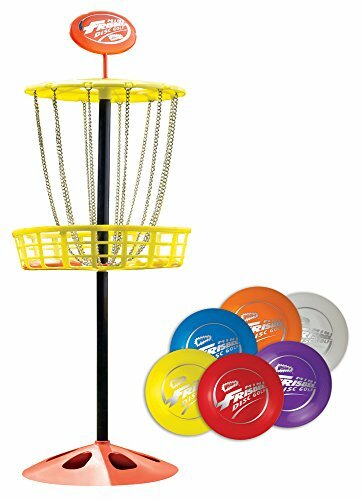 Included are, six mini Frisbee discs and the Frisbee golf target. It is lightweight and easy to assemble. The discs are small enough for young kids but they fly great so that adults will have a blast as well. Truly a great toy for all ages and a whole load of backyard fun. Every backyard needs a teeter totter. The Heracles Sea Saw moves up and down with a 360 degree rotation. Easy soft grip handle and extra stopper pole for safety. It is made of a steel frame and durable plastic seats. Although some assembly is required there is no digging or installation needed. 99 pound limit on each side. This is a working ride on crane for kids made with a sturdy metal construction. Guys and girls interested in construction and building will have a blast operating this crane. It’s on of those toys that can be used all year. Dig up the dirt in the summer and snow in the winter. Crane holds a weight of up to 110 pounds. The two handed controls will help to develop hand eye coordination and manual dexterity skills. Kids can really work it with the seat that pivots and the working easy grip handles. What could be more fun than a pirate ship playhouse in your own backyard? This one can also be used inside in the winter making it an affordable choice. 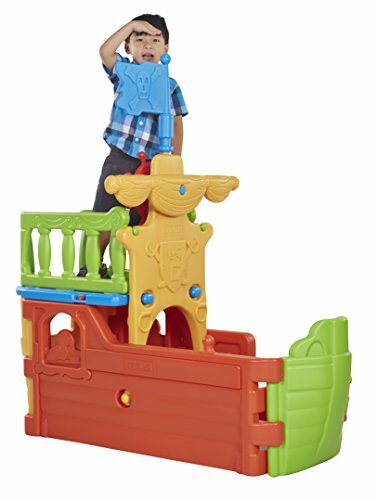 This brightly colored pirate ship has everything a young pirate needs for hours of creative play. No tools are necessary and this is an easy toy to assemble. Two levels of fun on this pirate ship playhouse with a movable wheel for the captain to steer. Get the kids having fun, developing social skills and getting some exercise all at the same time. 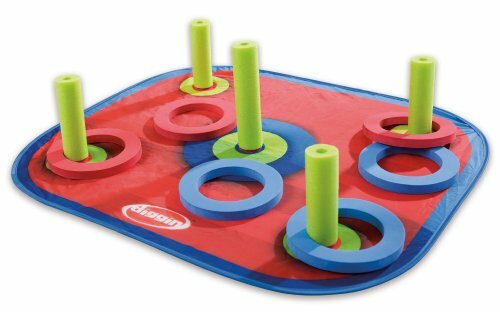 This classic ring toss game is versatile and can be played alone or with a group of friends. It comes with it’s own storage bag for easy transport, 6 safe and soft rings and a 24″ pop out target with four posts. Safe and soft pieces mean that this can be an all year game to be played inside and out. Designed for 3 years and up it is great for hand-eye coordination and social skills. The Blast Pad Missile Launcher is great fun and is operated by kid power. Fly those missiles using your energy to jump on the launcher. Fun and exercise level on this is “to the moon” and it’s great for boys and girls. This is a great missile launch system that all stores nicely in the base for cleanup and portability. It comes in assorted colors, extends to almost 3′ and is designed to blast only in the vertical position. This one is for kids a little older, between 8 and 15 years. 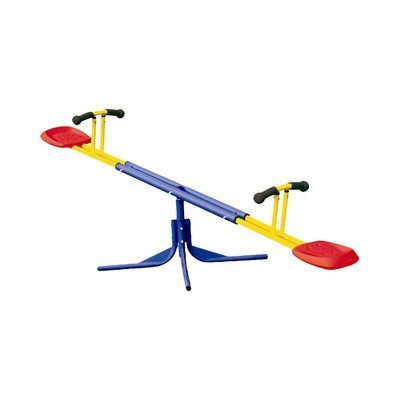 Teeter totter, see saw, whatever you want to call it, they are great fun. 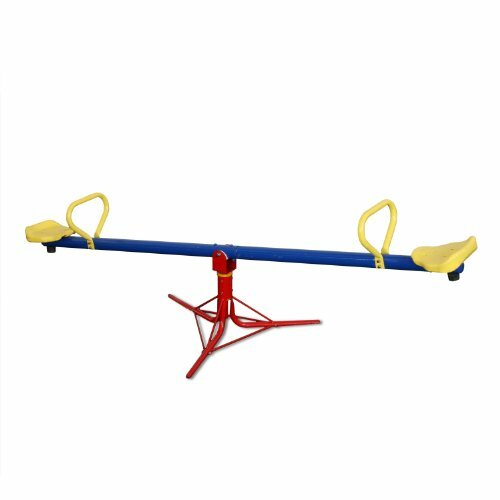 The Swing N Slide See Saw Spinner takes it to a whole new level of backyard fun. It is designed for kids between 5 and 8 years and has a total weight limit of 170 pounds or 85 pounds per child. This see saw goes up and down but it also spins 360 degrees for added fun. It is an easy to assemble toy made of a sturdy metal frame construction. This is an activity that promotes balance and coordination skills. A must for childhood memories right in your own backyard.